After all, Stahlecker was an expert in recognizing the telltale symptoms of childhood cancer, among them, an unhealthy pallor, fever, headache and other physical complaints. 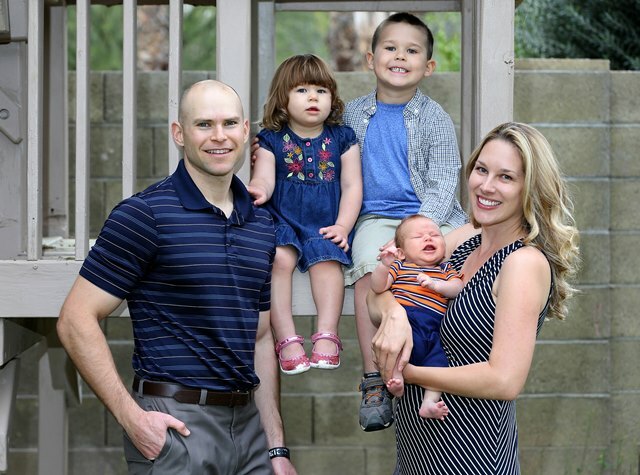 For a decade she had worked as an oncology nurse at Phoenix Children’s Hospital (PCH), helping dozens of little cancer patients through brutal, but medically necessary treatments and offering both her expertise and a shoulder to cry on to their parents and siblings. But in July 2012, Stahlecker, who had just earned a nurse practitioner degree, was away from PCH and training for her advanced career in a pediatrician’s office, where she focused on runny noses and sore throats instead. “In oncology, it’s always something horrible, but I was more in the mindset at this time of ‘Oh, it’s always nothing,’” she said. Stahlecker, who was eight months pregnant, had noticed her son, Tyler, acting strangely. Perhaps he had the “terrible twos” or somehow sensed his life was about to change with a new baby in the family, she thought. He was wakeful at night and seemed a little pale, but because of her profession, Stahlecker was wary of overanalyzing the situation. When Tyler’s preschool teacher mentioned his paleness to Stahlecker, she immediately took him to the doctor. 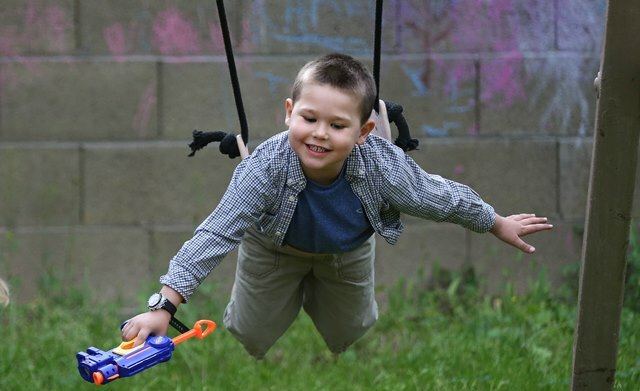 Right away, Tyler started a month of intensive treatment before he and his parents got a weeklong break. Baby Charli, blessedly, chose to arrive during those seven days off. His treatment resumed, and his parents and sister rarely left his hospital bed. Today, Tyler is doing well. He is on oral chemotherapy and receives doses at home, but he still has a round of steroids and IV chemotherapy infusions each month and endures spinal taps every quarter. His treatment is expected to end in November. Tyler has returned to preschool, his long-term prognosis is good, and things are mostly back to normal, Stahlecker said. Well, except that the Stahleckers have a new baby, Luke, now almost two months old. When his mom returns to the hospital after her maternity leave, she will be working as a nurse practitioner in PCH’s bone-marrow transplant department. She wouldn’t trade her nursing experience for anything. 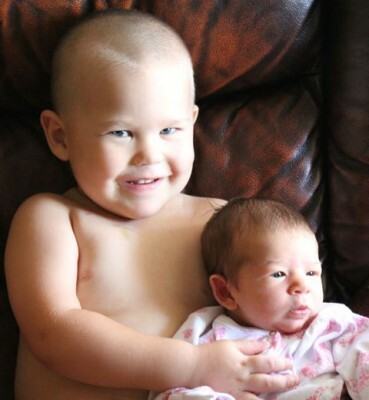 Thinking about the little ones who don’t survive cancer is heartbreaking, Stahlecker said. “Knowing that this goes on whether I’m part of it or not makes me want to be a part of it,” she said about the fight against childhood cancer. “I’ve had such a unique opportunity, because it’s such a fragile point in people’s lives. You could be there on the very worst day of their life and have the opportunity to help. Sometimes, Stahlecker shares with other families the details of Tyler’s cancer, if she feels it may help give them hope.